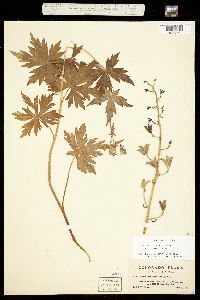 Roots tuberous, tuber distally not obviously bulblike, to 60 × 15 mm, parent tuber producing 1 (rarely 2) daughter tubers with connecting rhizome very short, i.e., tubers ±contiguous. 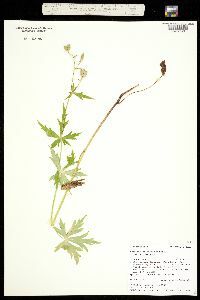 Stems erect and stout to twining and reclining, 2-30 dm. 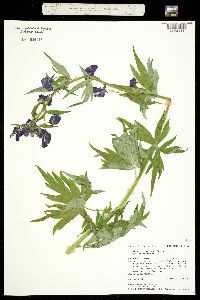 Cauline leaves: blade deeply 3-5(-7)-divided, usually with more than 2 mm leaf tissue between deepest sinus and base of blade, 5-15 cm wide, segment margins variously cleft and toothed. 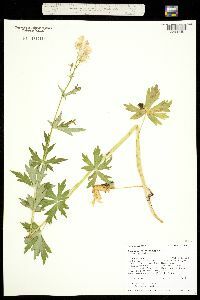 Inflorescences open racemes or panicles. 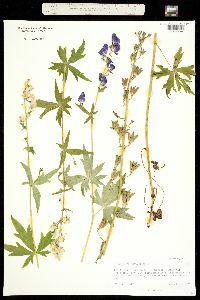 Flowers commonly blue, sometimes white, cream colored, or blue tinged at sepal margins, 18-50 mm from tips of pendent sepals to top of hood; pendent sepals 6-16 mm; hood conic-hemispheric, hemispheric, or crescent-shaped, 11-34mm from receptacle to top of hood, 6-26 mm wide from receptacle to beak apex. 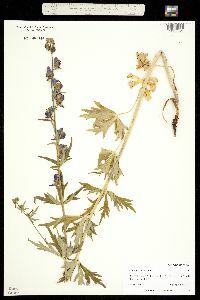 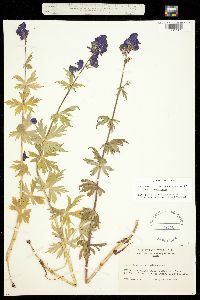 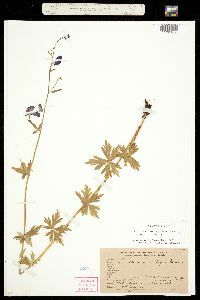 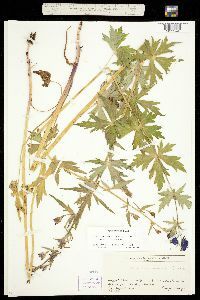 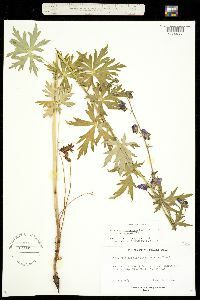 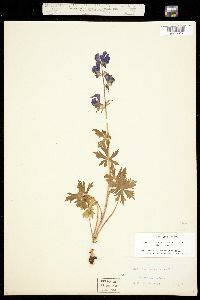 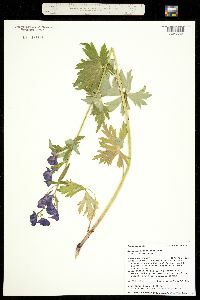 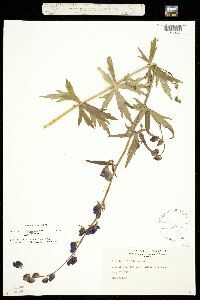 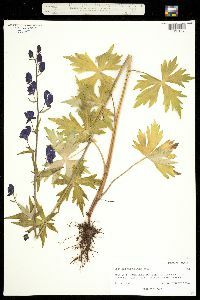 Available information suggests that Aconitum columbianum is probably not one of the extremely toxic aconites (D. E. Brink 1982; J. D. Olsen et al. 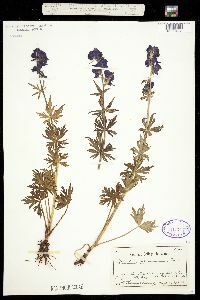 1990).